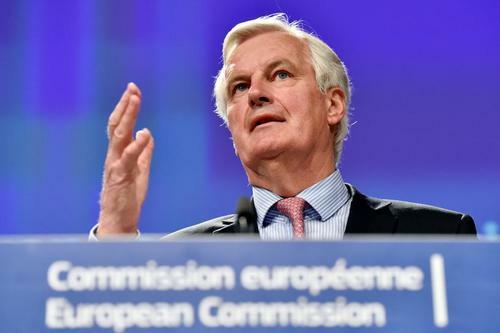 Brexit minister David Davis says the main person dealing with Michel Barnier in the Brexit talks will be him. 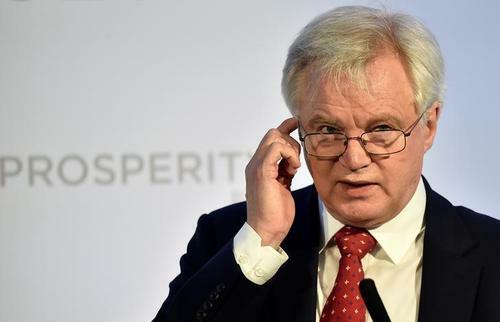 Reuters UKBritain's Brexit minister David Davis said on Wednesday that he did not recognise any of the figures published in the media for the bill that Britain could face when it leaves the European Union. 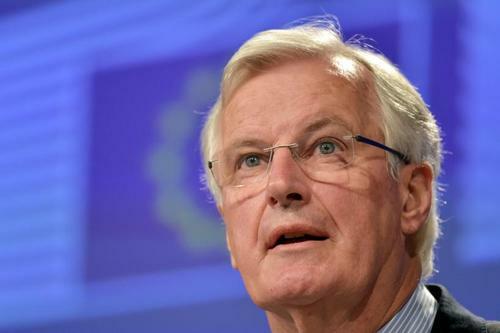 Reuters UKThe European Union's chief Brexit negotiator said on Wednesday that London and the bloc needed to agree on a clear way of calculating how much Britain owed before starting any talks about a future relationship. 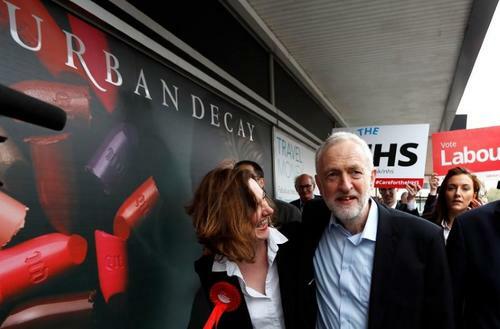 Reuters UKBritain's governing Conservatives sought to move the election campaign on to the economy on Wednesday, taking aim at opposition Labour leader Jeremy Corbyn with a poster warning of a tax "bombshell" if his Labour Party wins next month's vote. 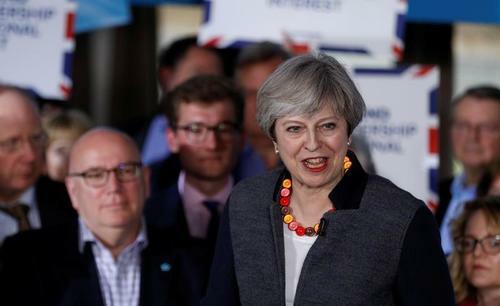 Reuters UKBritish Prime Minister Theresa May's Conservative Party holds a 19-point lead over the main opposition Labour Party ahead of a national election on June 8, down a couple of points from last week, according to an opinion poll on Tuesday. ReutersThey are aphotographer's delight and a spin doctor's nightmare -advertising posters with a message that can inadvertently ruin acarefully planned election walkabout. Reuters UKThey are a photographer's delight and a spin doctor's nightmare - advertising posters with a message that can inadvertently ruin a carefully planned election walkabout. 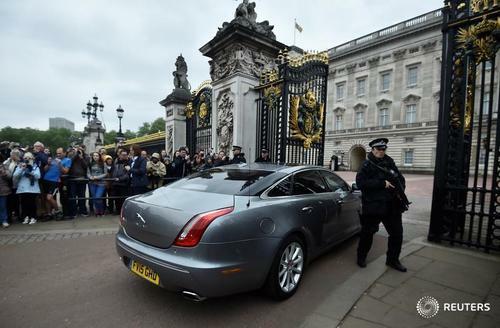 May was inside the palace for 38 minutes according to Reuters calculations. 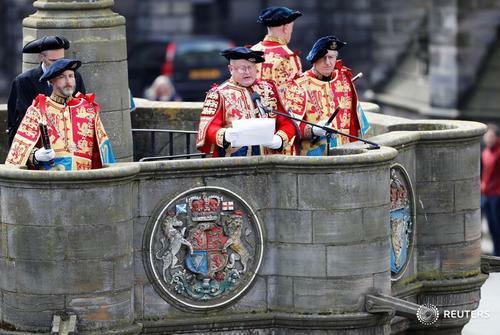 May said she has held an audience with the queen to mark the dissolution of parliament. 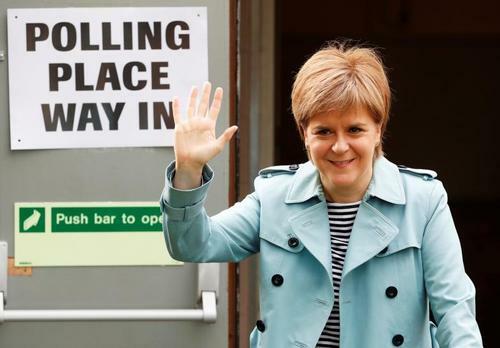 She said that whoever wins on June 8 will face one overriding task of getting the best deal from Brexit for Britain, and that the events of the past few days show there are some in Brussels who do not want talks to succeed. 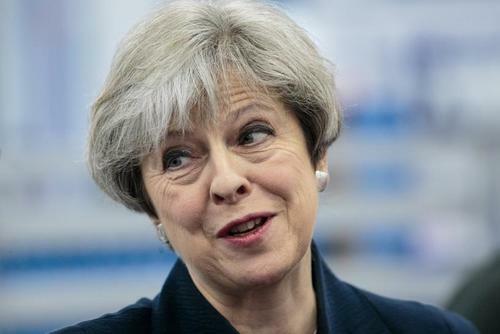 May also said that Britain's Brexit negotiating position has been misrepresented in the press over the past few days, and that this was timed to affect the election outcome. May - There are some in Brussels who don't want Brexit talks to succeed. 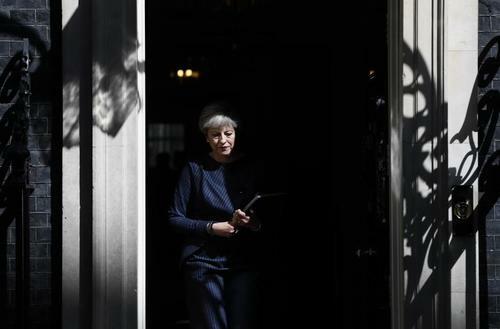 ReutersIn the month since Prime Minister Theresa May submitted formal divorce papers, Brexit has been overshadowed by a public display of brinkmanship as Britain and the rest of the European Union set out their stalls for the tortuous exit negotiations. "I have just been to Buckingham Palace for an audience with Her Majesty The Queen to mark the dissolution of this Parliament. "The 2015 Parliament is now at an end, and in 36 days the country will elect a new Government and choose the next Prime Minister. The choice you now face is all about the future. 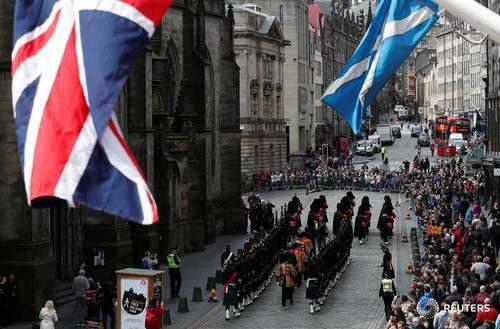 "Whoever wins on 8 June will face one overriding task: to get the best possible deal for this United Kingdom from Brexit. "And in the last few days, we have seen just how tough these talks are likely to be. 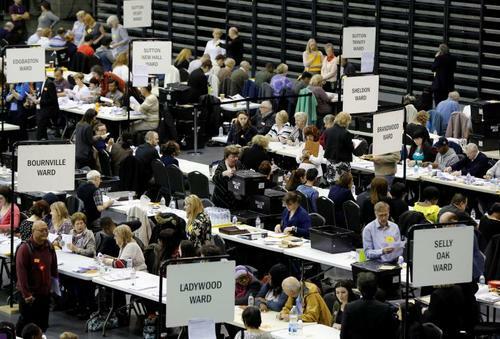 Britain’s negotiating position in Europe has been misrepresented in the continental press. 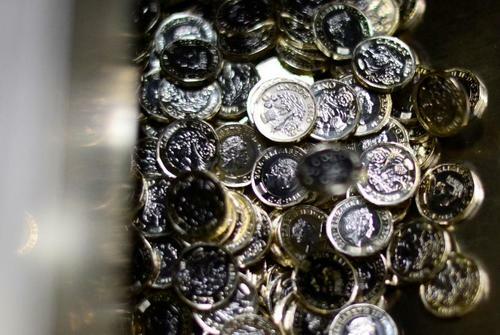 "The European Commission’s negotiating stance has hardened. 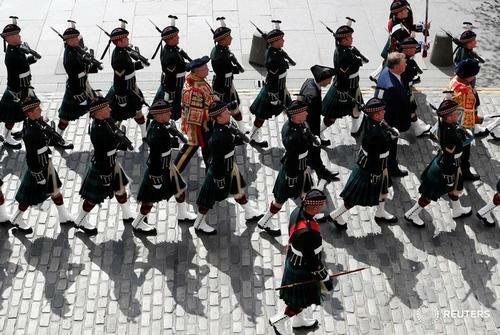 Threats against Britain have been issued by European politicians and officials. "All of these acts have been deliberately timed to affect the result of the general election that will take place on 8 June. "By contrast, I made clear in my letter to the President of the European Council invoking Article 50 last month that, in leaving the European Union, Britain means no harm to our friends and allies on the continent. "We continue to believe that no deal is better for Britain than a bad deal. But we want a deal. We want a deep and special partnership with the European Union. And we want the EU to succeed. "But the events of the last few days have shown that - whatever our wishes, and however reasonable the positions of Europe’s other leaders - there are some in Brussels who do not want these talks to succeed. Who do not want Britain to prosper. "So now more than ever we need to be led by a Prime Minister and a Government that is strong and stable. Because making Brexit a success is central to our national interest. And it is central to your own security and prosperity. "Because while there is enormous opportunity for Britain as we leave the European Union, if we do not get this right, the consequences will be serious. "And they will be felt by ordinary, working people across the country. This Brexit negotiation is central to everything. "If we don’t get the negotiation right, your economic security and prosperity will be put at risk and the opportunities you seek for your families will simply not happen. "If we do not stand up and get this negotiation right we risk the secure and well-paid jobs we want for our children and our children’s children too. 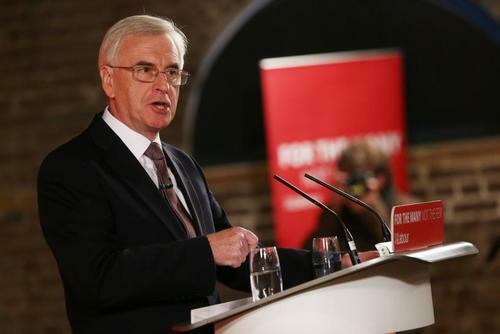 "If we don’t get the negotiation right, if we let the bureaucrats of Brussels run over us, we will lose the chance to build a fairer society with real opportunity for all. "The choice the country faces now is very simple. Because there are only two people who can possibly be Prime Minister after the 8th of June to negotiate Brexit. 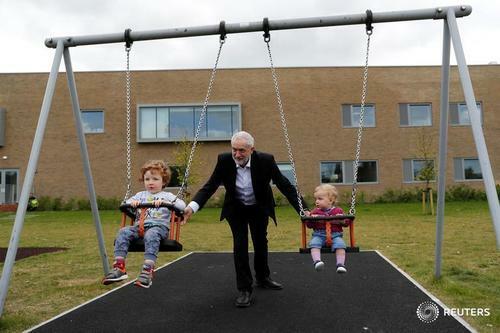 It is a choice between me – and Jeremy Corbyn. 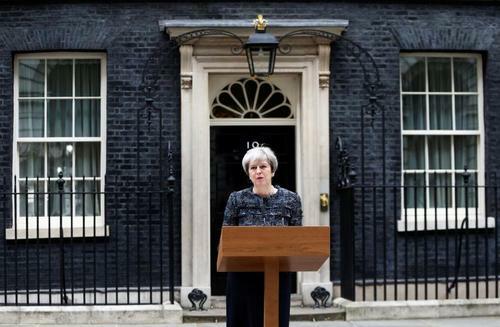 "With me you will get strong and stable leadership, and an approach to Brexit that locks in economic growth, jobs for our children and strong finances for the NHS and the country’s schools. "Or you will get Jeremy Corbyn with a hung parliament and a coalition of chaos. Britain simply will not get the right Brexit deal if we have the drift and division of a hung parliament. "Give me your backing to lead Britain. Give me your backing to speak for Britain. Give me your backing to fight for Britain. And give me your backing to deliver for Britain." 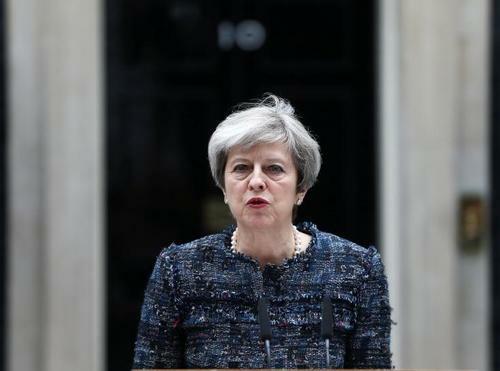 Reuters UKBritish Prime Minister Theresa May accused European politicians and officials on Wednesday of seeking to affect the outcome of the June 8 national election by issuing threats over Brexit. 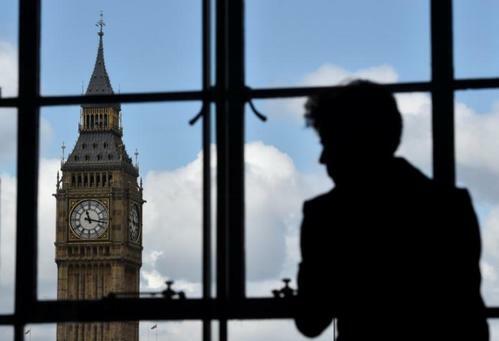 Britain's exit from the European Union cannot be turned into a success, but it can be managed in a pragmatic way, a senior European Union official said in an interview with Politico on Wednesday. Martin Selmayr, who is the head of cabinet for European Commission President Jean-Claude Juncker, also said British Prime Minister Theresa May was an impressive negotiator, which was good for Brexit talks. "Brexit will never become a success, of course, because it is a sad and sorry event, but it can be managed in a professional and pragmatic way," Selmayr said. "President Juncker said today that she (May) is an impressive woman and a very impressive negotiator. That is very good for negotiations, because we need a very strong negotiator, someone who unites the entire nation behind her," he said. 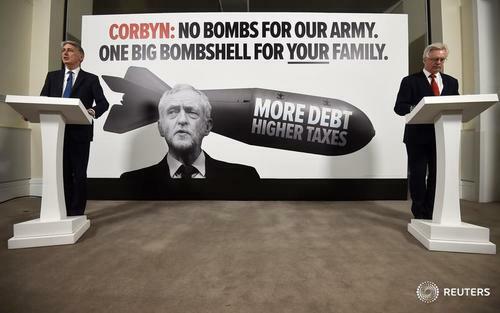 They are a photographer's delight and a spin doctor's nightmare - advertising posters with a message that can inadvertently ruin a carefully planned election walkabout. Theresa May accuses EU of interfering in election. 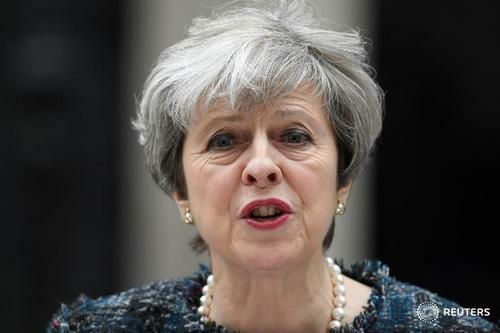 Reuters UKBritons began voting on Thursday in local and regional elections expected to give a taste of how far Conservative Prime Minister Theresa May's dominance extends before next month's national election. 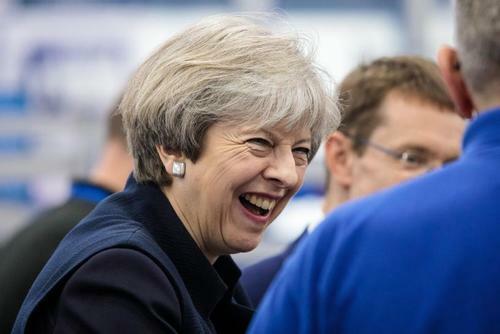 Britain's ruling Conservatives have gained more than 100 local council seats across England and Wales, early results showed, suggesting Prime Minister Theresa May could increase her majority in a June 8 national election.